International Male catalog offers the biggest selection of designer underwear for men. But it isn't just underwear. You will find men's swimwear, active wear, outer wear, shoes, accessories, and more! 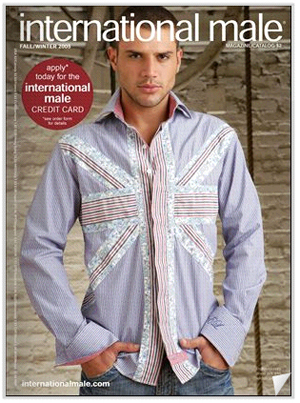 Anything a well dressed man could want or need, you will find in the pages of the International Male catalog.